KUCHING: The new Lenovo Legion Y730 laptops are built for today’s on-the-go gamer, designed for sophistication fit for both business meetings and everyday gaming. Thinner, lighter and sleeker than before, the new laptops are ideal for those who want to focus on their game even when playing in public, instead of disturbing passers-by with the numbing glow of a typical gaming machine. More than capable of handling some of today’s most demanding games, the Y730 comes fully-equipped with up to NVIDIA GeForce GTX 1050 Ti GPUs, up to the latest 8th Gen Intel Core i7 processors and Windows 10. Its keyboard is made to offer under 1ms input response time – designed to deliver that split-second advantage in competition. The laptop’s optional 144Hz full HD IPS displays not only offer a higher refresh rate for smoother visuals and reduced motion blurring, but also thinner bezels with brighter panels at 300 nits. 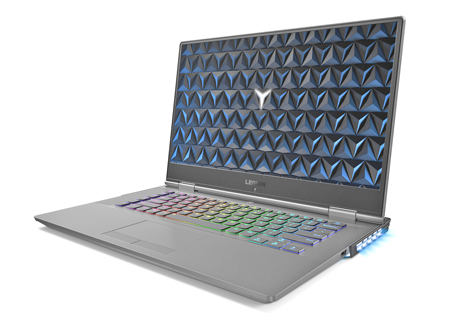 The Lenovo Legion Y730 Laptop is the world’s first gaming laptop with Dolby Atmos Speaker System with Dolby Sound Radar. The Lenovo Legion Y730 Laptop is also the world’s first gaming laptop with a CORSAIR iCUE RGB backlit keyboard and system lighting, featuring six custom macro ‘Y’ keys for added customisation of more than 16 million color combinations. The notion of portability doesn’t have to mean bulky fans and poor cooling. Lenovo has tested countless ways in achieving better thermals and invented a dual-channel cooling system with additional side vents and multi-length, multi-rotational fan blades in the new Lenovo Legion laptops – improving its airflow by 16 per cent, with 10 per cent cooler system temperatures compared to before. The result is more efficient cooling and whisper-quiet operations. The Lenovo Legion Y730 is now available in Malaysia.